Hereford: This may seem like an odd choice for an interview, and frankly, I would agree. 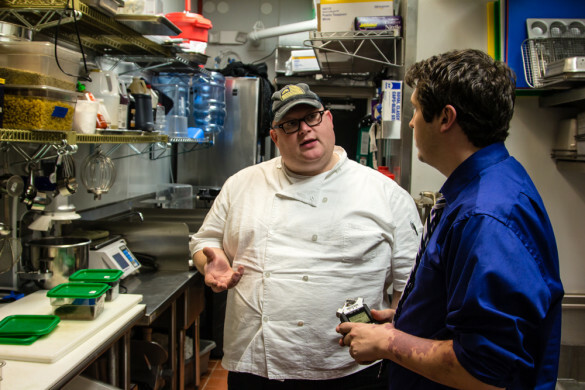 We were approached by Wild Wing Cafe to speak with their head chef and culinary director, Chef Elbows, about the process of how to cook a “spicy, succulent burger.” We thought A) this sounded like something that would interest both us and our readers and B) how could a guy who calls himself Chef Elbows not be a fascinating guy? So we agreed. But then I got sick on the day we were supposed to interview him, so we had to cancel. When we were able to reschedule, Chef Elbows was out of town. We talked, instead, to Jose Intriago, who has worked his way up through the Wild Wings organization and is now assistant manager at their Arysley Location. I thought this turned out to be a fascinating discussion, with a great window into a corporate restaurant. Charlotte Burger Blog: So, tell us a little about yourself and a little about Wild Wings and about the burgers you have here. Jose Intriago: I’m the assistant GM here. I started here 6 years ago. I started just as a dishwasher and moved my way up. The kitchen is where I started. I love the kitchen; I would love to go back, but, of course, someone has to run the place. Wild Wings has been a great place for me. I have no complaints. They’ve been here for me. They’re like my second family, basically. My second home-away-from-home. They started about 24 years ago. They started with one burger on the menu and six different kinds of wings. Now, as you can see, we’ve got 35. And we’ve got four different burgers plus a turkey burger as well. And then we’ve got the build-your-own burger. Basically, you pick your burger and you just build it up as much as you want. As you can see we’ve got brand new TVs as well. We’re basically a football/NFL bar. That’s when our business comes in. We went from having 24 to 54 TVs. And they’re all LED. We’re one of the only bars around this place that has the TV booths. They can control them themselves. Of course, we ask them not to, but we can’t stop them. This Wild Wings opened up ten years ago. It’s going on eleven. Whenever they opened up there was nothing around here. We were probably one of the only bars around here. Now, as you can see, this whole place has opened up and become bigger. 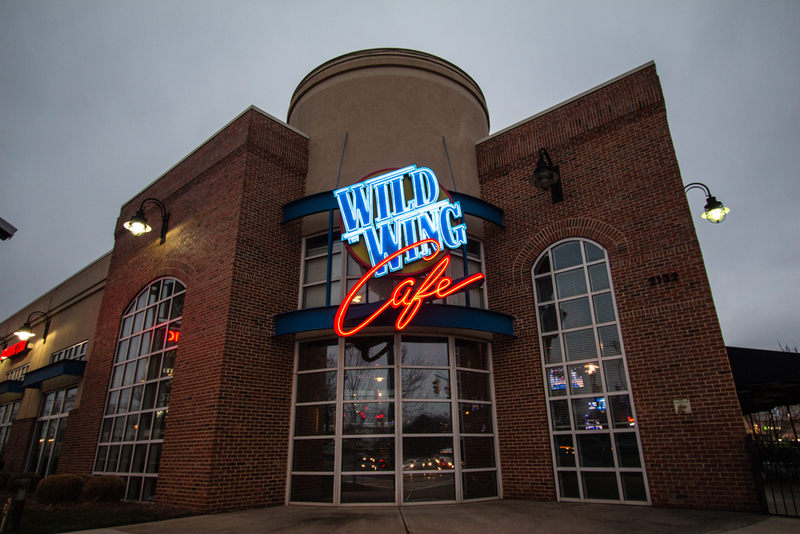 Charlotte Burger Blog: Wild Wings Café clearly has a focus on the wings. Why spotlight the burgers? Jose Intriago: Because we have some great specialty burgers here. A lot of people, of course, want to try out our wings, but whoever tries out the burgers really, really likes them. All of our burgers are hand-pattied here, every morning, fresh. We’ve got our great seasoning that we add to it. [Our specialty burgers] are really different from other places. And, for the Build Your Own Burger, we have a lot of toppings you can choose from, including all the sauces that we have for our wings. We’ve got 34 flavors that you can add to the burger. Charlotte Burger Blog: How many locations are there for Wild Wings? Jose: Now we have 35. We had 34. Charlotte Burger Blog: How many different states? Jose: Seven different states, and it’s all in the southeastern part of the country. The farthest west we go is Texas. Katy, Texas, I believe it is. I don’t know if you guys know, but Muhsin Muhammad, the [former] wide receiver for the Panthers is part owner of [Wild Wings] now. Charlotte Burger Blog: That’s pretty neat. he’s always seemed like a really likable guy. Jose: You can see, we have a lot of the pictures that he’s brought in. He’s been trying to open up a few in Chicago. 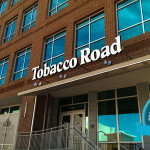 We’re trying to open one in Lake Norman, one in Rock Hill. 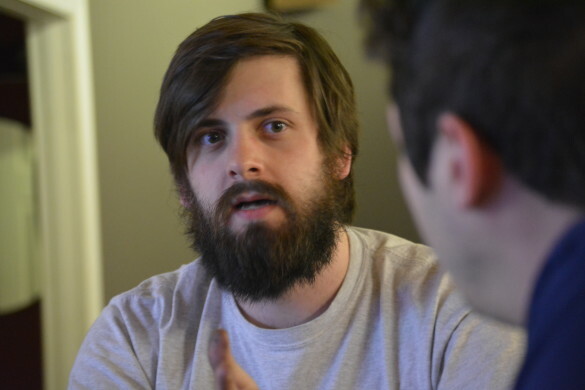 Charlotte Burger Blog: So, who creates the menu for the burgers at Wild Wings Cafe? Jose: It’s a group of people from corporate. The corporate office is down in Charleston, Mount Pleasant, actually. They get together and come up with different LTO menus. We have different burgers whenever we have different LTOs. Charlotte Burger Blog: And that is? Jose: Limited Time Offer menu. Charlotte Burger Blog: Ah. That makes sense. I thought for a second it might be Lettuce, Tomato, and Onion or something. Charlotte Burger Blog: Do you guys, as GMs and Assistant GMs get to go and put your input on the menus? Jose: Yeah, before we come up with our LTOs they call a meeting down in Charleston [with the GMs] and we give our input and see what we need to change. Like, we had a meeting about the new menus. Of course, we had to go down there and give our input because we had a lot of typos on the menus. We’ve got to catch them before they come out. It’s good that corporate includes GMs that way. Jose: Yeah. And some of the recipes that we have here, like some of the marinades and some of the sides, have come from people who work at Wild Wings. Like we have this new marinade called the Honey Lime Sriracha. One of our employees [from the University location] put that in. The Dave’s Potato Salad came from one of our old GMs that used to work here. He created that recipe. The chili came from one of the kitchen managers down in Hilton Head. Charlotte Burger Blog: I think that’s cool. It’s one of those things that, depending on the size of the corporation, a lot aren’t able to get a lot of input. Wild Wings is fairly large, but I guess not so large that they can’t get at least some input. Jose: Like I said, it’s a great family. I’ve loved working here since the beginning. I’ve been at this location for six years. And I have plenty of opportunity to grow and move up if I want to because they’re planning on opening, I think, 35 new stores by the end of next year, so we’ll have 70 total. 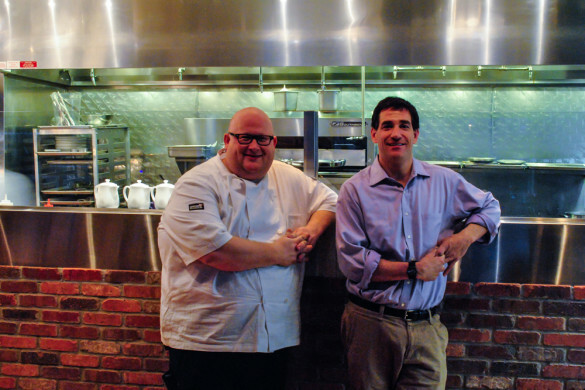 Charlotte Burger Blog: That’s some rapid expansion. Jose: Yeah, we’re a small company, but we’re growing really fast. 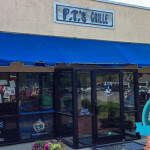 Charlotte Burger Blog: Now, do you have a wing challenge here? I tell them, “If you finish a whole plate I will take care of your meal.” Some people can do it, but I’ve seen very, very few do it. A lot of people don’t even finish three wings. It’s really, really spicy. With the new employees we have, especially the guys, we make them take a little shot of it. Charlotte Burger Blog: So, just like a police officer needs to be tazed to use be certified to use a Taser, your employees have to try exactly how crazy hot this is. I’m usually just the bacon cheeseburger guy of this fantastic duo, so when the burgers came out and TWO of them had jalapenos, I was sort of freaking out inside. These burgers are coming from a chain restaurant, how good can they actually be? I am happy to report that these burgers were actually in fact pretty damn great. The Holy Jalapeno Burger was just that, packed with a ton of freakn jalapenos. Now the burger was not quite as hot as I was expecting but it did have a little kick 3. The jalapeno cheddar marinade was awesome and actually refreshing. The Bleu Cheese Basil Burger was almost your typical cheeseburger with the regular lettuce, tomato, and onion. Most of the time with these “Bleu Cheese” burgers you find them gushing from the middle with bleu cheese and it is just way too much and over powers the burger. But Wild Wings has found the perfect cheese to burger ratio with this. There was just enough of it to give you that nice sharp taste to know it was there but not enough of it to have you believe it was just a cheese sandwich. Hereford tried to stay away from The Bacon Egg & Cheeseburger (because we all know he has an issue with eggs) but he had to at least have taste. So he did. And I had the rest of it. The egg was a perfectly over medium and the bacon was thick and floppy. The onion ring was a little big for my liking but, of course, I ate the whole thing. 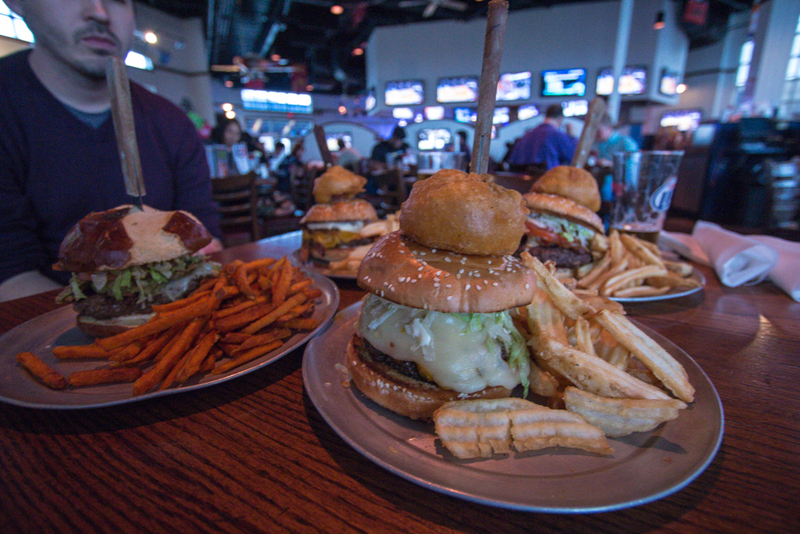 Wild Wings has a great Build Your Own Burger section with lots of available choices for you to add to your burger. The ones that caught my eye from the menu immediately was the shaved ham, queso, and that you can add any available wing sauce to your burger. Joe created this one, and again it had jalapenos. But this time they were fried and amazing. It is like the friedness took the heat away and all that was left was the flavor. The pretzel bun tasted fresh and fluffy. The only thing I wish there was more of was the guacamole. Where you should have just the right amount of bleu cheese you should have heaping piles of guacamole, that stuff should be everywhere 4. Overall we were both really impressed with what burgers they have at Wild Wings Cafe. We would like to thank Jose Intriago for taking the time out of his evening to meet with us and explain the inner workings of a corporate restaurant. We loved the burgers that were presented to us and had a great time talking about everything burgers. 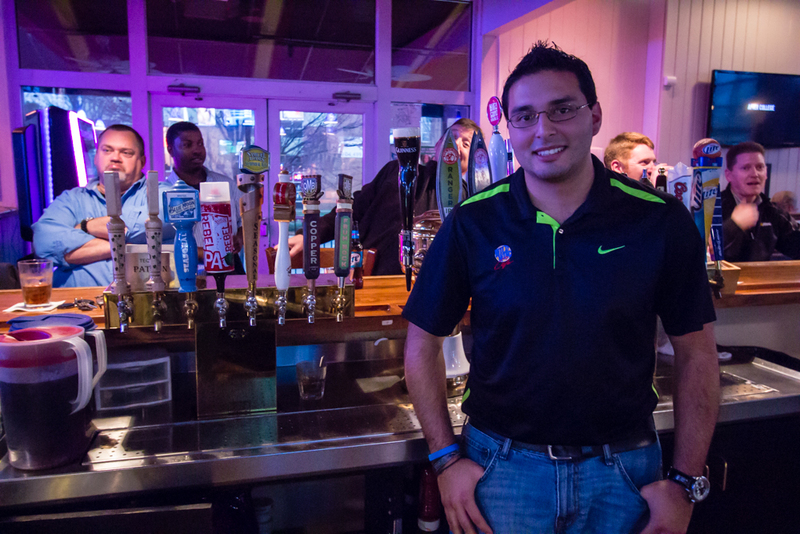 We wish the best of luck to Jose in his career over at Wild Wing Cafe.